Eleanor Catton has just won the 2013 Booker prize with what the Guardian terms an ‘innovative Victorian thriller’ (if that’s not a contradiction in terms). Catton is quoted as saying that her novel The Luminaries was ‘very strongly influenced by long-form box-set TV drama … at last the novel has found its on-screen equivalent’. But what does it mean to be influenced by box-set TV drama?Just a matter of length? Or is there more to it? Something non-Victorian? 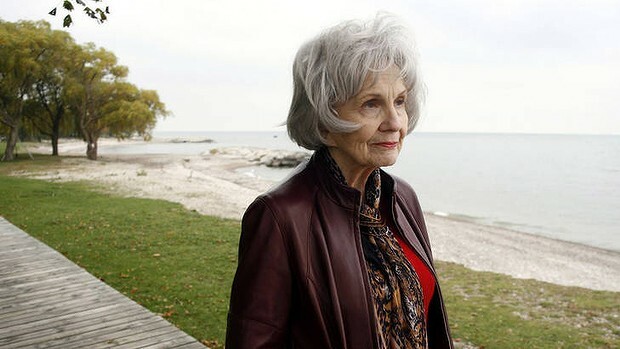 Congratulations to Alice Munro, Nobel Laureate. Let’s hope that in her case it’s not the ticket to obscurity that it’s been for Sinclair Lewis, Knut Hamsun and so many others. But a good year for North American short story writers and an excuse to post Munro’s Paris Review interview, and to recommend ‘The Art of Fiction’ series more generally. Redell Olsen and Ian Patterson will read from their work. Tuesday 15th October, 8 pm. All welcome. Poems 1969-2002 (Salt, 2003); and 'The Glass Bell' (Barque, 2009). in conversation with Professors Isobel Armstrong and Steven Connor. questions and to join in with the discussion! Dharker, Sean Borodale and Jo Shapcott. 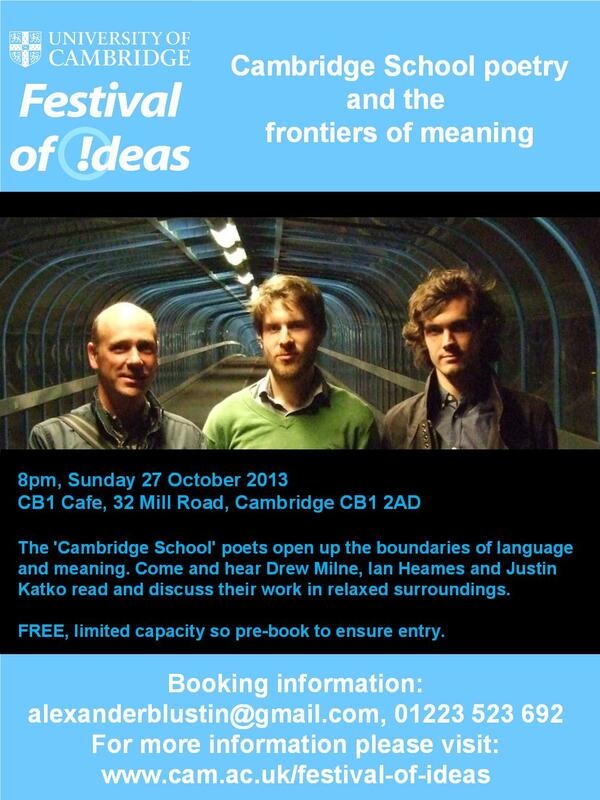 We are pleased to announce a new series of literary talks hosted by Clare Hall. These will take place once or twice a term, and aim to introduce us to some of the most interesting contemporary British writers. All welcome. Bring a friend. Enjoy a glass of wine, a literary reading and talk, and a lively discussion. For further information please contact Dr Trudi Tate, tt206@cam.ac.uk. Ali Smith, Fri 8 November 2013, 6 p.m.
Francis Spufford, Wed 18 December 2013, 6 p.m.
Suzanne Joinson, Wed 8 January 2014, 6 p.m.
Susan Sellers, Fri 14 February, 6 p.m.
Olivia Laing, Wedn 23 April 2014, 6 p.m.